For every die-hard Foo Fighters fan, Wasting Light represents a resurgence, which contradicts the notion that a fanatic will repudiate to any form of innovative progression. All the spiritual components of what the band used to be are all in one place: Pat Smear is back on the Hagstrom guitar; Kris Novoselic guests; Butch Vig records with Nirvana members after 20 years. Such a linkage is misleading, as there never was connective tissue that strengthened the Foo Fighters name. Any correlation to Nirvana should’ve ended sixteen years ago, when Dave Grohl started a new career with a debut record that held close ties to the diminishing days of grunge. Grohl immediately got knighted as a post-grunge commander, opening the doors for a number of second-rate artists who thought a powerful riff was more than enough to make it mainstream. Past ties may have given Grohl the advantage, but his chivalrous behavior proved there wasn’t anyone more deserving to bring light to the arena-rock vision. And while the journey was successfully accomplished in distinctive ways, Grohl felt he needed to continue his conquest where it all began, even if the only obvious indicative is that he recorded it in his garage. Wasting Light denotes the idea of coming back to terms in a more personal vein, which doesn’t have anything to do with the music in itself. It should come as no surprise that Wasting Light follows a similar mold to the Foo Fighters’ most recent releases. Numerous accounts have gone as far as saying that it presents the band at their most lively since The Colour and the Shape, an album that undoubtedly features their most memorable tunes, but also suffers for being wildly inconsistent. Wasting Light shares close proximity in that it applies a more sterilized and controlled production to a murky exterior – this time around, any trace of a ballad or acoustic mush has been replaced with an unrelenting pummel of ‘70s British metal influences and shades of ‘80s pop metal. With six members aboard, Bridges Burning makes a grand entrance with scratching power riffage and dueling guitars that fill the spaces at all the vacant corners. It continues with Rope, a straight ahead command of dexterous chord progressions that is justly sitting atop the Modern Rock Charts, proving how very few bands blend melody with a gruff bearing. For the Foo Fighters, this should pose as business as usual – it certainly showcases a strong build that leads to a few colorless clunkers like A Matter of Time – a chugging, overblown pyro of chords that fails to ignite any sparks – and Miss the Misery, a by-product of rock nostalgia that tries to adorn a fist-pumping chorus that falls short of Def Leppard’s more meretricious moments. Destined to become the Foo Fighters next single, Dear Rosemary, featuring Bob Mould, goes for punchy classic rock - it channels Grohl’s soggy lyrical penmanship to produce a stunning chorus akin to Sugar’s lovelorn assaults. Grohl, never a stranger to expressing his lust in dramatic ways, goes for unrelenting aggression when he reaches the depths of his soul. I Should Have Known is the dark epic Grohl always hid in his arsenal; its wash of guitars, strings, and stirring, climactic bridge gives Janie’s Got a Gun a run for its money. Having failed to evolve for all these years, the Foo Fighters look back as a way to move forward, seemingly trying to find what was lost. It was meant to happen to them at one or the other; usually, listeners take notice of lost qualities when artists are at their most forceful. 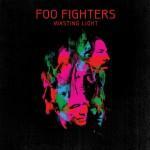 With Wasting Light, the final result isn’t as radical: catchy choruses remain, arpeggios hardly make an appearance in favor of volatile hooks, and quiet-loud dynamics are still the norm. Retreads are always nice: take White Limo, a hyperbolic, thrashy roar that recalls Weenie Beenie with a shiny, metallic finish. It’s the type of song the Foo Fighters wrote knowing their nineties fans would relish. Still, this is as far removed from the Alternative Nation as you can get.